This tour burns about 1,500 calories (we love a good workout! ), so be sure to have a proper meal before you come. We'll stop by the lagoon’s entertainment area to enjoy a refreshing coconut water break and soak up the atmosphere of this popular spot. Once you're refreshed, we'll cycle over to the botanical gardens, where you can jump off your bike to enjoy a walking tour. Admire the stunning imperial palms, learn more about the garden’s history, and admire the vast orchid collection in the greenhouse. Then, jump back on your bike and cycle through the bohemian Baixo Gavea, returning to the seaside as we explore Leblon Beach. You'll get a photo-worthy moment when we admire the great beach view from Leblon’s lookout point. 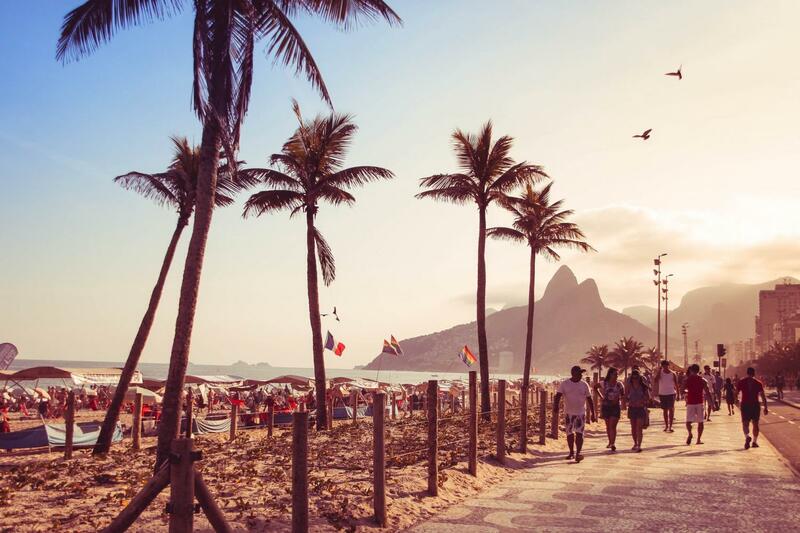 We'll cruise along the coast a bit more, passing by Ipanema Beach before reaching Arpoador Beach, where you’ll understand why the sunset is so special here. Finally, we'll ride back through Girl from Ipanema Park to reach Copacabana once again, where your Rio bike tour comes to an end. This tour is recommended for those people looking to see the beach lifestyle of Rio as well as discover a newer part of the city that few tourists go to. If you’re looking for an excellent day out cycling the coast of Rio’s southern beaches, this is surely the tour for you!